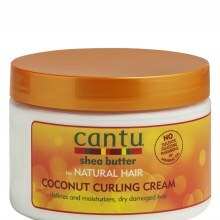 For Caramel, Honey or Golden Blonde hair. Warming golden pigments in the Colour Infusion Shampoo enhance depth and vibrancy of colour. Follow with the Gloss Intensifying Conditioner, enriched with Tamanu Oil, to add high shine and moisture. 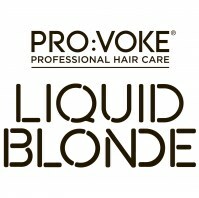 PRO:VOKE Liquid Blonde is suitable for use on natural or coloured hair, offering visibly vibrant hair in just one wash! 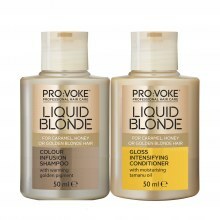 I have recently been trialing the Liquid Blonde shampoo and conditioner and actually quite liked the product. Unfortunately the trial bottles were rather small so i only got three washes out of it as i have quite long hair. In saying that i can say i loved the smell and feel of my hair after using this product, my hair felt incredibly soft and silky even after abusing it with the straighteners!! As i only used it 3 times i didn't notice any difference colour wise but im sure thats down to only using it for a short period of time. Overall i would definitely recommend this product and i will be buying some full size bottles shortly!!! The bottles were not big enough to fully test the product. I found that the shampoo did not lather up therefore had to use more and felt my hair did not get a good wash as it did not spread. The conditioner was thick and creamy and my hair felt soft whilst using this. The shampoo did nothing for my hair, may have looked lighter? But just not enough to really test it as only got 2 shampoos out of the bottle. Would definitely use the conditioner as it left my hair soft and if I had tested the shampoo for longer may buy this but would not go out of my way to. I was quite impressed with this product. It left my hair looking and smelling lovely. It didn't make much of a difference colour wise but all in all I am very impressed with it. Loved the aroma of the shampoo and the texture of it as well as the conditioner. Both products had a luxurious thick consistency. I did notice a slight difference in my hair after just one application which i was very surprised about. 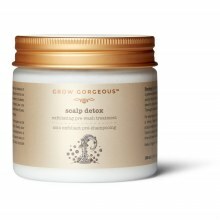 The conditioner made my hair quite smooth and silky after drying Overall, a product i would certainly consider buying in the future! I liked this product. The smell was nice and my hair felt lovely after. Colourwise I didnt see much difference. I did find my hair became greasy quicker after so may have to use less of the conditioner. It may be my hair was not light enough to see the difference or that more time using the product my create a more noticable change. I don't thing I would purchase this product in the future. I tried this and it did leave my hair smelling nice and my hair was soft. Couldn't say that it made any difference to the colour maybe after more uses. I liked the smell of these and it made my hair nice and shiny. I'm not sure how much it has affected the colour of my hair although it did look a little brighter. Overall I think it's good value for money and performed just as well as my usual twice as expensive brand. I trialled this shampoo and conditioner after I had been swimming as the small size was convenient. I found that the shampoo didn't lather much. The conditioner was really creamy and a little went a long way. Both the shampoo and the conditioner has an odd smell! Overall my hair felt clean and soft I think that long term use would be needed to see any effect on hair colour.